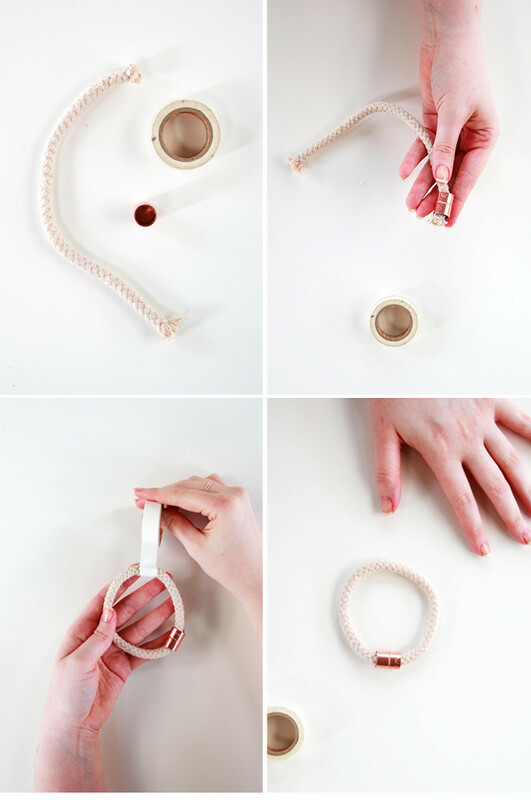 Make this stylish industrial bracelet with just 3 materials! While cleaning up my desk the other day, I found I had accumulated a collection of random off cuts and assorted items. So naturally I mashed a few together to make something pretty. You can make this pretty bracelet as well with just a couple of easy materials! 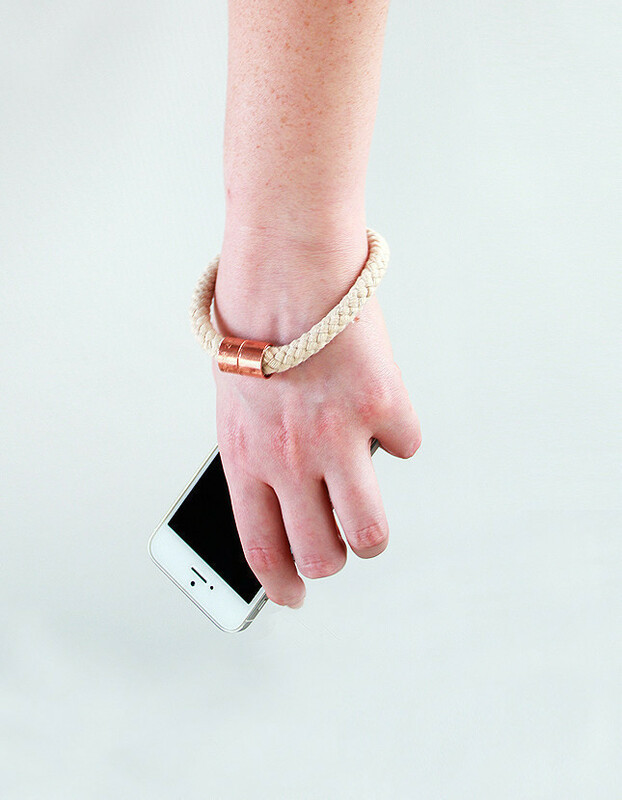 Take a length of rope and measure around your wrist so that it can slip over your hand, cut to size. Thread your copper fixing onto the rope. Tape the ends together securely , you can dab a bit of strong hold glue between the ends if you want to but it’s not required. Thread the copper fixing back over the join so that it covers the tape – the taped area should fix snugly in the fixing so that the copper piece wont move. If it is too loose add in an extra layer of tape.